Near the northern end of the Sea of Galilee is Tabgha, where Jesus multiplied the food to feed the large crowd who had come to see Him. 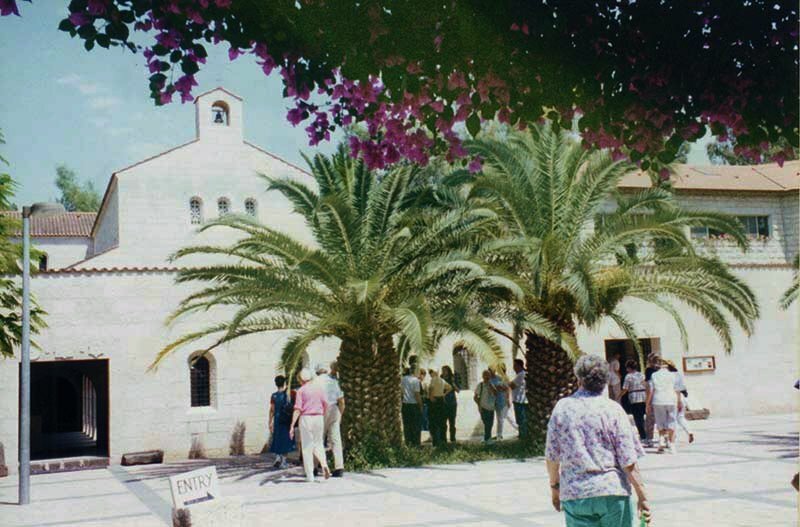 Today, the Church of the Heptapegon (or Seven Springs), also called the Church of the Multiplication of the Loaves and Fish, shows us where this took place. It’s a reconstruction, built in 1980-82, of the Byzantine church that was excavated here in 1932. Go in the door where the people are entering (click on it) to see inside.